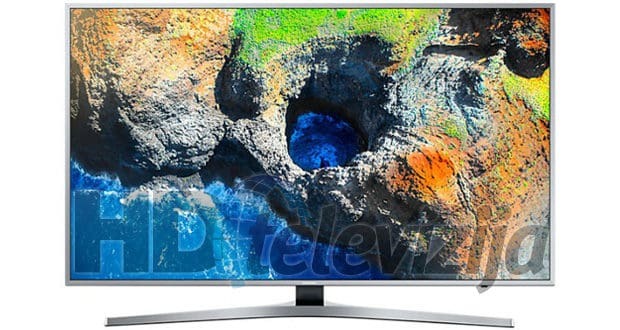 Following our quick test of the Samsung Q7 “QLED” TV we performed at the Ronis store in Zagreb, we tested new TV from company’s more affordable MU line – the 40-inch MU6400. TV is a direct successor to the KU6400 UHD TV series, featuring the new Tizen OS 3.0 Smart TV platform, with support for HDR-10 and playback of UHD content via HDMI 2.0 ports or streaming applications. We’ve taken the TV through our test procedure, check our full review below. Summary : The Samsung 40MU6400 UHD TV, with the exception of the new Tizen interface and the refreshed remote, does not offer anything new compared to last year's KU6xxxx series. TV performs the same in terms of picture quality as last year's models which are now available for a lower price. 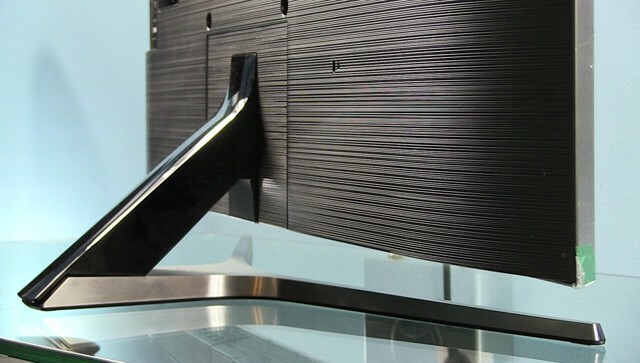 Samsung 40MU6402 is a classically designed TV set with a V-shaped stand thin bezel. 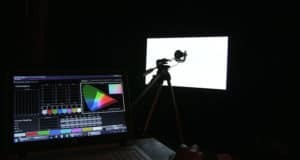 The screen is a semi-glossy textured which means that it can moderately reduce glare and reflections but is not as effective as screens that have special filters (e.g. 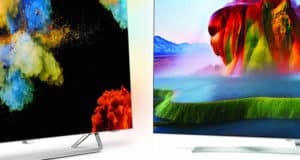 Ultra Black on Samsung KS SUHD TVs last year or Philips’ Moth Eye TVs). The bezel is 10 mm wide left, right and above the screen, while the lower part is slightly wider – about 12 mm. When the display is on, you can see an extra 1.5 millimeters of black space between the frame and the active part of the screen. 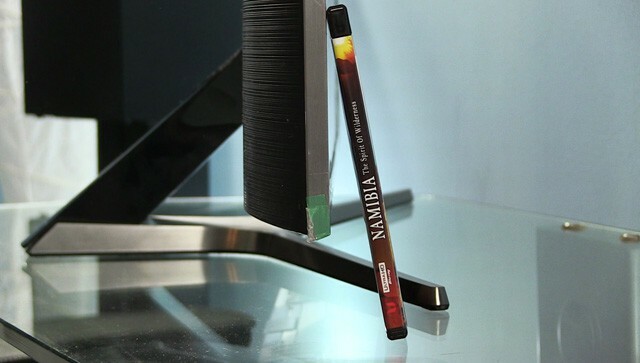 The frame is made of aluminum, unlike the plastic stand. Samsung’s logo on the bezel does not have a backlight. 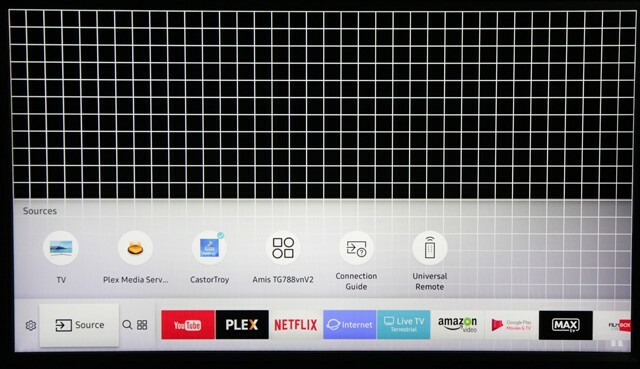 The status LED is located in the lower right corner and is illuminated red when the TV is in standby mode and completely off when the TV is turned on. The side view reveals a slim body that is just 15 mm deep next to the bezel, and in the central and lower parts about 55 mm. 40MU6402 features what Samsung calls “a 360 degree design”, which is why the plastic back cover is well-formed, clear with sloping horizontal lines and smooth transitions. The area where connectors are has no lid as in the case with more expensive models that share “360 design”. All the connections are on the back facing the side view. To use a CI module, you must remove the label and attach the supplied adapter. The overall build quality is good, at the level of last year’s models. The back cover bends a bit when pushed with fingers, but according to the information we have this year, Samsung uses plastic locks instead of an adhesive that last year was causing separations and gaps, especially on SUHD models with powerful LED backlight. We will follow user comments and analyze each new model in more detail to see if there is any real progress on this issue. 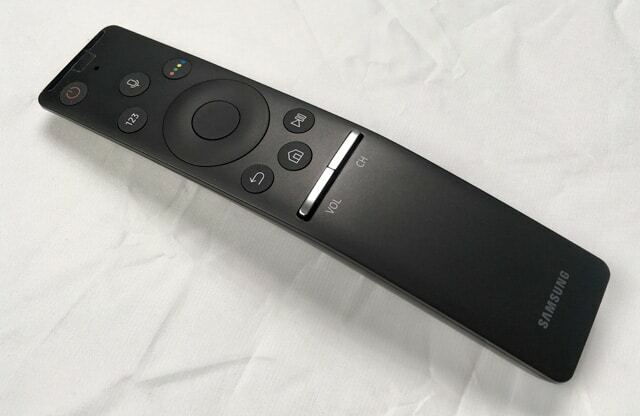 With 40MU6402 Samsung supplies slightly refreshed Smart remote which had its premiere last year. 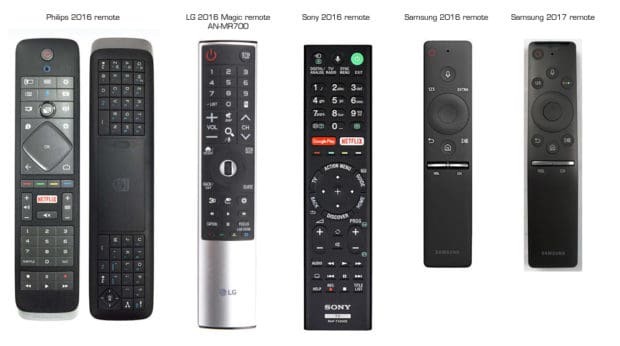 It is a compact remote control that in total only has 7 buttons, including multi-functional buttons for volume and channel switching. Layout and number of buttons did not change, but there are changes in the way some of them are implemented – buttons are now individual, not any more integrated into the cover itself. We believe that this is a step in the right direction because it is easier to find an appropriate button in the dark and pressing gives a better feel. There is also a new texture with circles on the back, although it has a greater visual impact than functional. Since last year, Samsung has decided to remove the gyroscope function that was used to show cursor on their earlier remotes. The idea is that those users who want to surf the Internet and write a lot of text rather connect an USB keyboard and mouse or use Samsung’s SmartView app for Android or iOS. 40MU6402 comes with the latest version of Tizen Smart TV platform which had its premiere in 2015 with the JS-series TVs. At first glance, the platform has not changed significantly – it is just as fast as last year, the layout consists of a strip in the lower part of the screen with applications, inputs and recommended content. 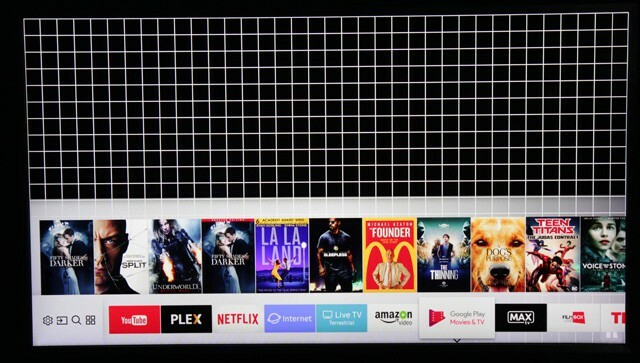 On the global launch of “QLED” TVs in Paris, Samsung said that within the idea of the “Unified Experience” the new Tizen platform will provide even better suggestions based on content users usually watch. The idea is that user does not go through a huge number apps and different inputs, but that with the help of a remote control and recommendations he can find the desired content more easily. In practice, this works if you use applications such as Netflix, HBO GO and the like that are appropriately associated with the Tizen platform. In those cases you will see recommendations of content and you can open them directly without having to first open the app and then you are searching for content. In the case of applications that are available only on particular markets, such as MAXtv in Croatia, there are no such recommendations available, at least not for the time being. The speed of the platform is really good, as you can see in my video below. TV is responsive within 2 seconds after coming from stand-by and apps load quickly. Menus settings did not change significantly, although some options related to the picture are now moved to other menus, but more about that in the calibration section. 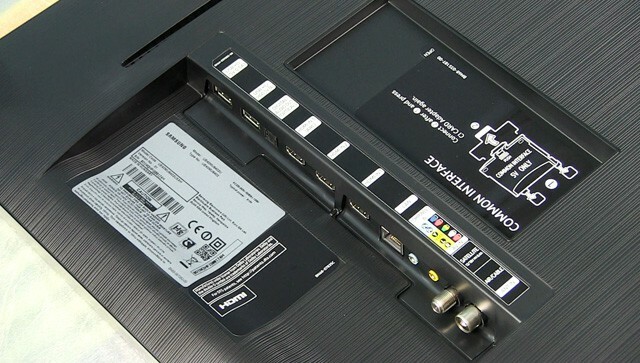 Multimedia support via USB or the local network is still at a high level. The built-in player reads all current formats like H.264 / H.265 content in the MKV files, with multi-channel Dolby Digital and DTS, and there is also support for subtitles with the correct display of diacritical marks. The built-in player also reads the HDR-10 content Ultra HD content with a wide range of colors. The TV has the Plex application. 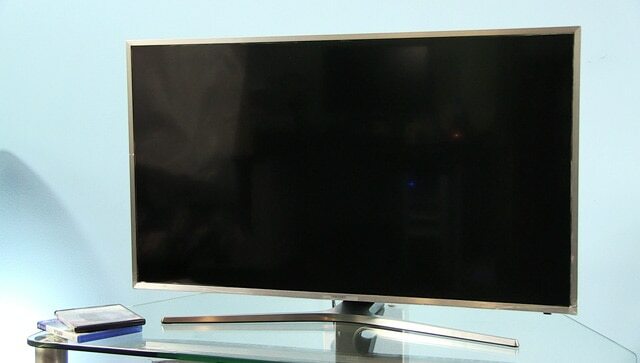 I have this TV Samsung 42MU6400 and I like it very much. I would like to know if is possible to get the full technical informations as hours used or purchase date of this model? For example, I have a TV Samsung 42F5500 and I can get these full informations pressing “Info -> Menu -> Mute -> Power”, but I don’t know to do same way on new model). On the bottom edge of this TV do you have any issues regarding light? I mean comb effect light and dark for 2 cm of all bottom edge of the screen. I think there is the LED for light. 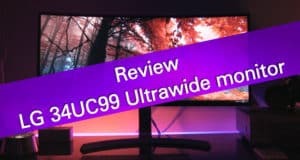 Saw the video, this is a typical limitation of edge-lit LED LCD TVs. It varies from unit to unit so as long as the anomaly is not so big that is distracting while you watch content, no reason to contact service center. Hello. 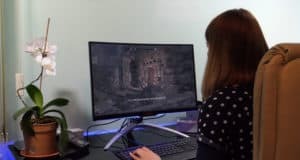 Does the 2k Resolution (2560×1440) work on this TV connected to a PC? Yes, it supports that resolution. I have calibrated the colours according to your video on YouTube and I like the results! 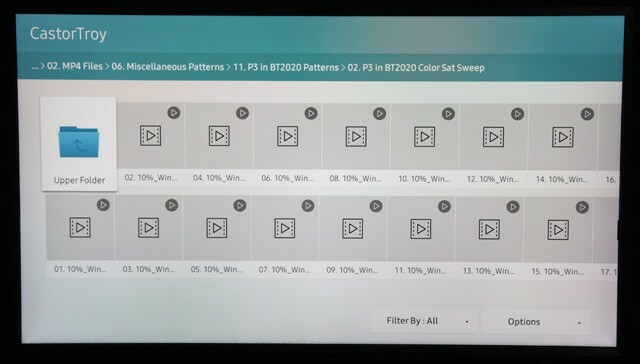 However, there is one thing I don’t know/don’t understand: If I watch actual 4K movies, should I select bt.2020 or dci-p3 ?